Canadian Baptists of Ontario and Quebec (CBOQ) exists to equip our churches and leaders to engage in their mission from God in their community. CBOQ churches are grouped into 16 Associations across Ontario and Quebec for common fellowship, resourcing and mission. Each Association has an Association Ministry Committee to strengthen the work of our pastors and other ministry leaders. Many of the Associations are also involved in organizing camps as part of their ministry work. New churches join the CBOQ by first becoming members of their local Association. Our Associations are also involved in evaluating and supporting ministry grant applicants. For Association websites, click on the available links on the right. If the association you need to contact is not on the list, please contact our offices for further details. 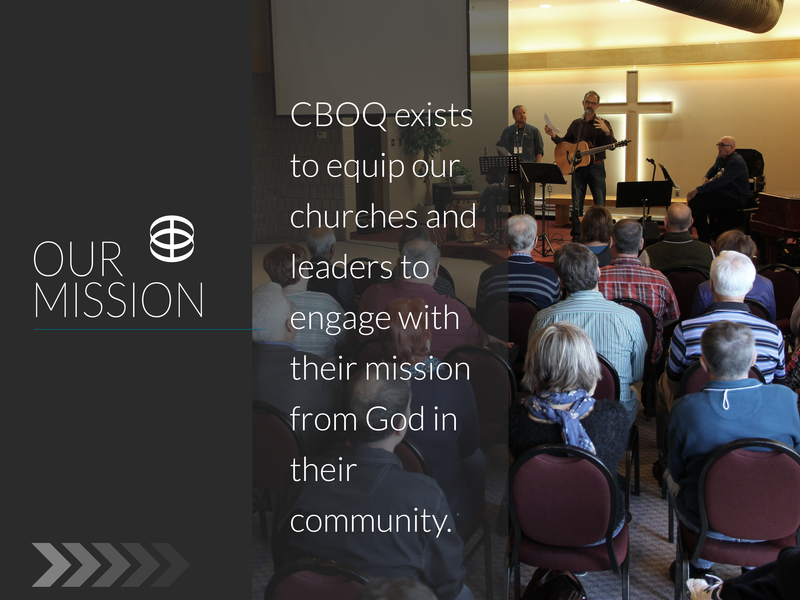 CBOQ exists to equip our churches and leaders to engage with their mission from God in their community. CBOQ has a new logo! If your church is still using our old logo, it's time for a change. For how to get our logo files and some more information on the new logo and what it means, click the button below.